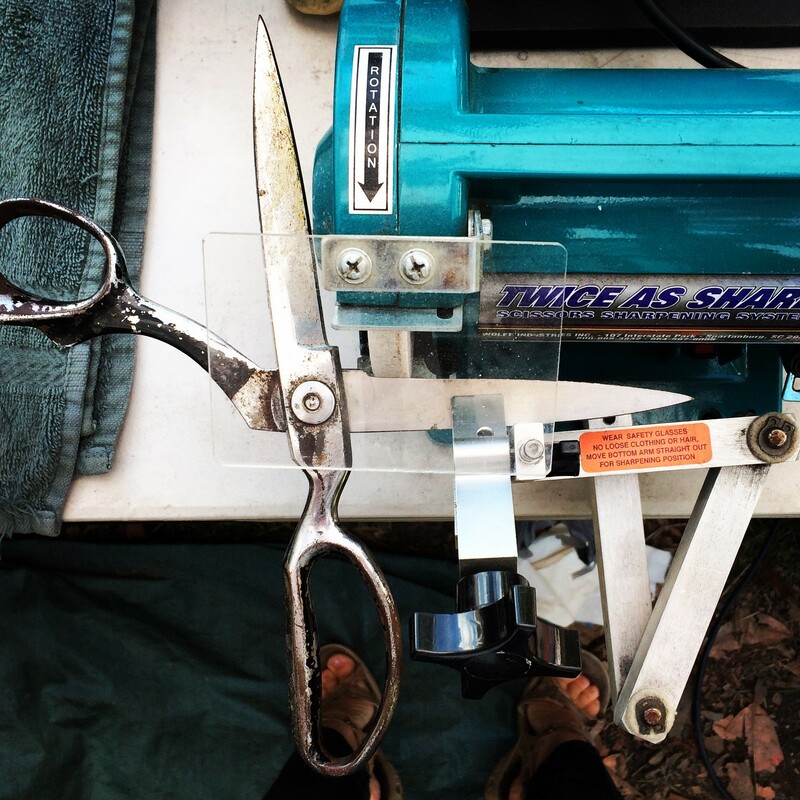 For scissors and shears, we use a sharpening system that sharpens and hones at custom angles with precision to get them cutting better than they ever have. See below for care tips. If the edge sustains damage, such as a nick, stop using immediately. The nick can scrape against the opposing blade causing permanant damage that can not be fixed with sharpening. 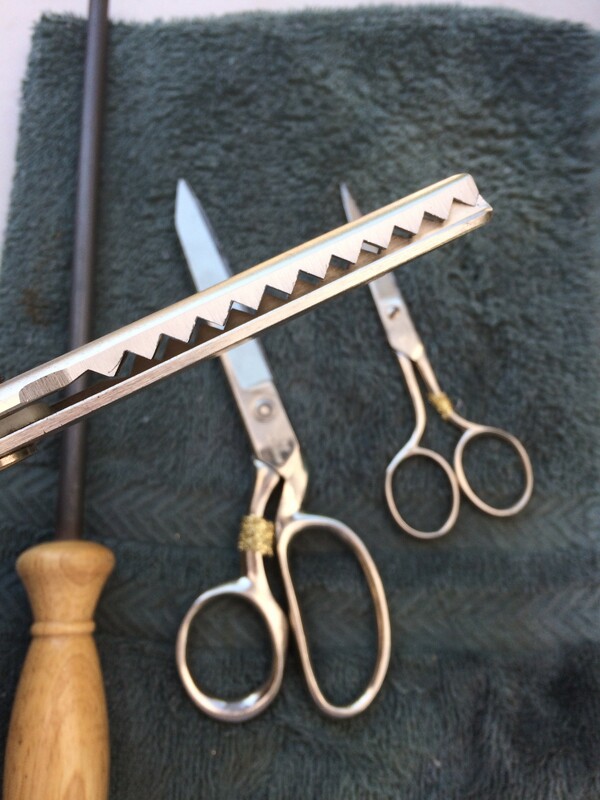 Keep scissors and shears dry and oiled to keep them rust-free and opening smoothly. 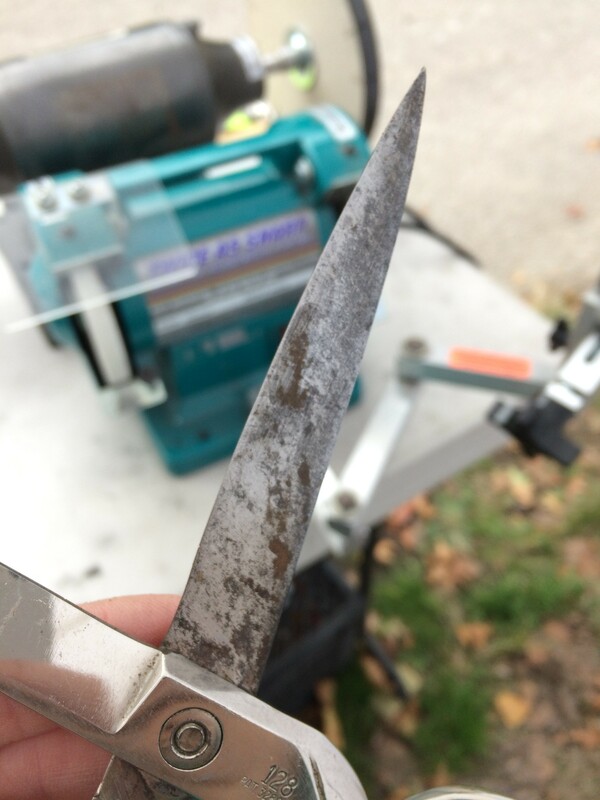 Rust on the blade can damage the edge of the opposing blade with each cut. 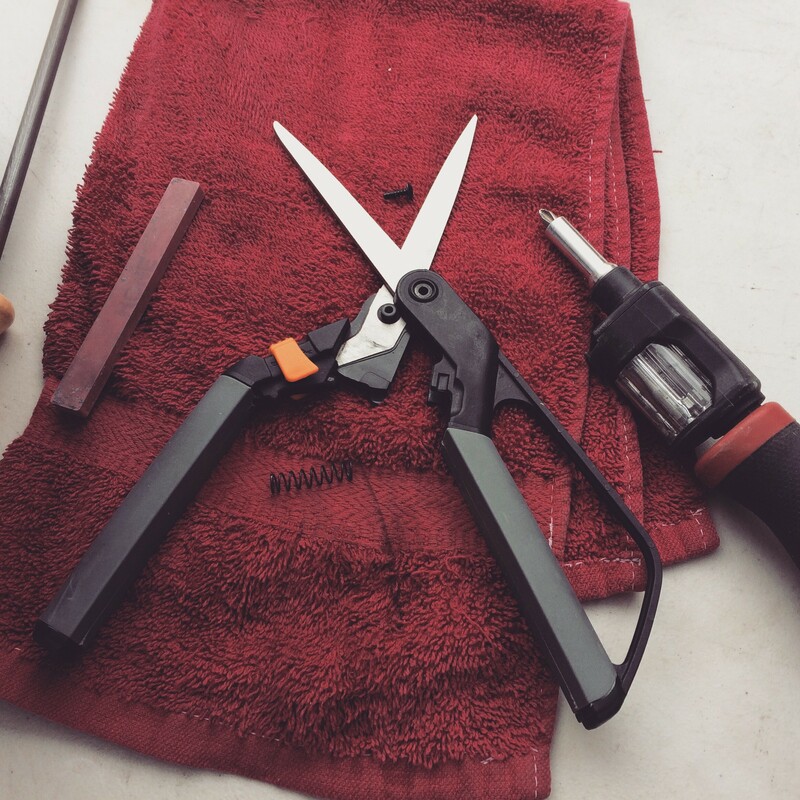 If a scissors is too loose or tight it will not cut properly. To test: Hold scissors horizontal, with one handle above the other. Holding the bottom handle in place, open top handle. Let top handle go and see where the blade stops. 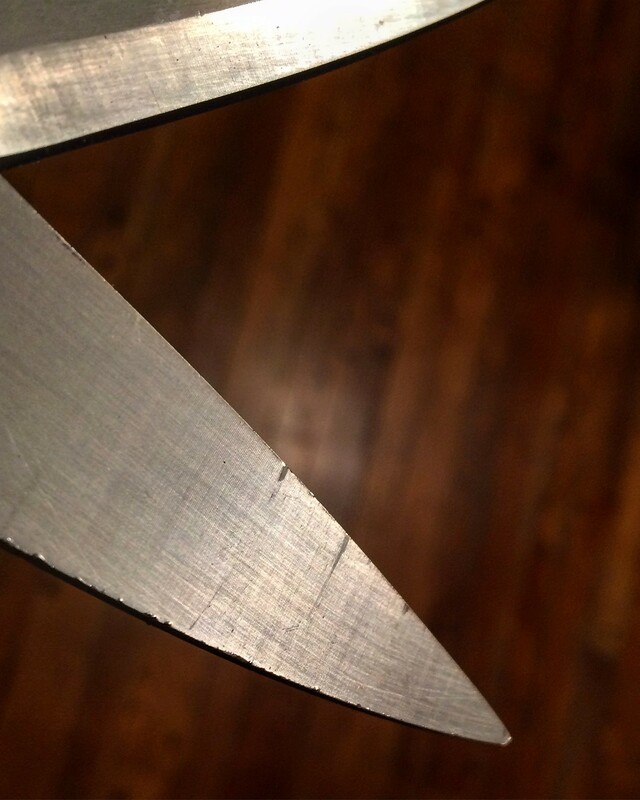 For most scissors, the blade should stop about halfway down the cutting edge. If it closes completely, tighten the tension. If it does not close much at all, loosen. A small adjustment goes a long way! 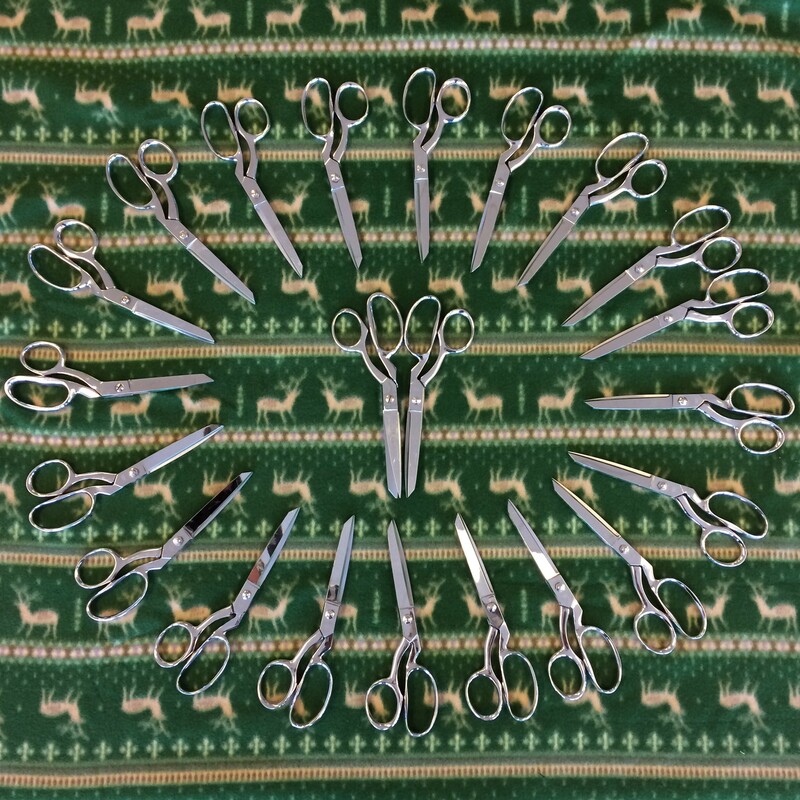 You can perform a basic sharpness test for most scissors with a plastic grocery bag. 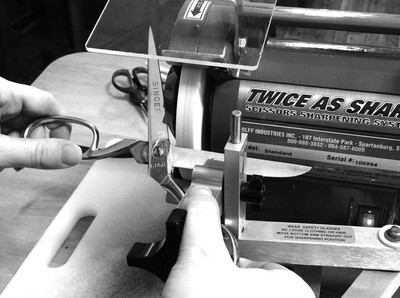 Hold the bag loosely and cut a single layer of the bag along the entire length of the blade. When the scissors is completely closed, pull away to see if the tip catches on the bag. 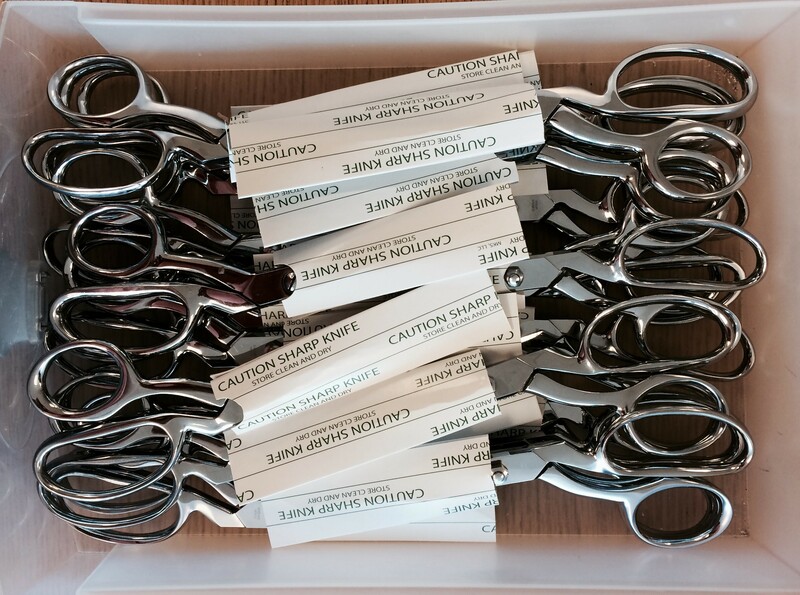 A well-sharpened scissors should cut cleanly through the bag with no resistance. 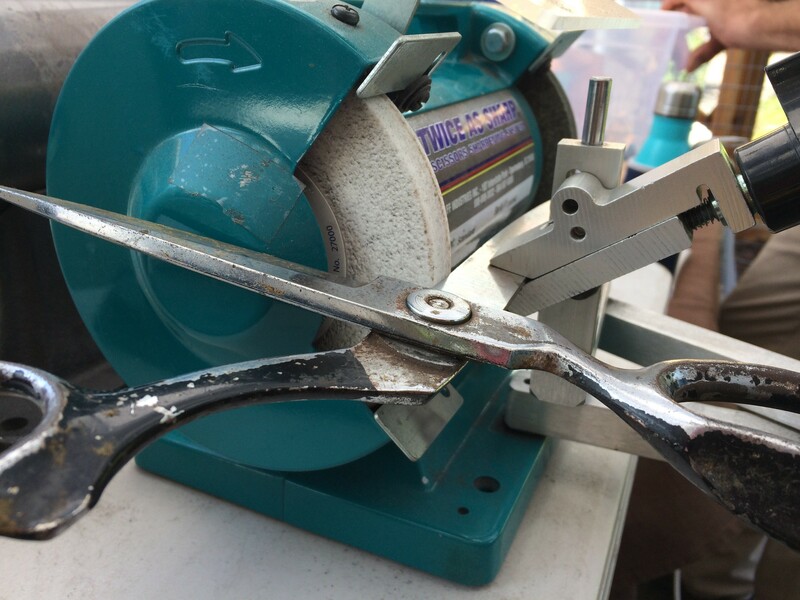 If it fails the test, and you know the tension is set properly, it could use a sharpening. Sign up here to receive a reminder the night before St. Louis sharpening opportunities! *Prices listed apply to items with normal dulling. Repair charges may apply to damaged items or more complex models.Service charges may apply to items needing to be taken apart.